Because of digital technology, a student's learning and the traditional classroom are no longer restricted to the four walls of a school. ​Combine entrepreneurship and digital technology, what do you get--Microsoft, Google, and Apple. This entrepreneurship has expanded to class management systems and classroom applications: Blackboard, Google Classroom, and ClassDojo. On this page, you will find information on online courses for elementary students. ​In the event of natural disasters and school closings, our digital platforms will help us keep our class schedule. Sometimes our classmates experience serious illness; with our online classroom and courses, our classmates will be connected to and keep up with the class. ​Blended learning, with its mix of technology and traditional face-to-face instruction, is a great approach. Blended learning combines classroom learning with online learning, in which students can, in part, control the time, pace, and place of their learning. Students learn and engage in an online course by wikis, blogs, discussion boards, just to name a few. Students also learn to collaborate with these tools too! As we are an elementary class, our online learning and courses are called hybrid or blended courses. We use the online course to the fullest; and we have class time too! 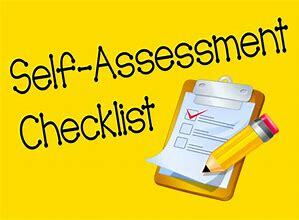 Don't forget elearning is real learning, which always means an assessment is coming to an online classroom nearest you! Digital Citizenship is understanding appropriate standards, behaviors, procedures, and applications in the online realm. In our class, we tackle this in the first two weeks of school. 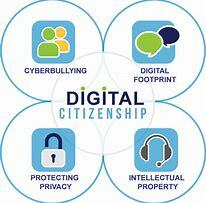 Digital citizenship has many 21st century skills contained with in it. Click on the pictures for different "online courses"! This is a famous bronze from Greece. Art is important. Click here for the Art Class! This is the "I Love You" wall in Paris, France. On the wall "I love you" is written is many different languages. Click here for the 4th grade reading and writing course! Can you do math online? Yes, you can! The flipped classroom gives students extra time in the classroom for working on their math. Click here for the 3rd grade fractions course!